Hey there, friends! We are deeply excited to announce today’s new product: aluminum tubes for the 3″ Series and 4″ Series Watertight Enclosures. These aluminum tubes have significantly greater depth ratings, better heat transfer to the water, and a hard anodized black finish. 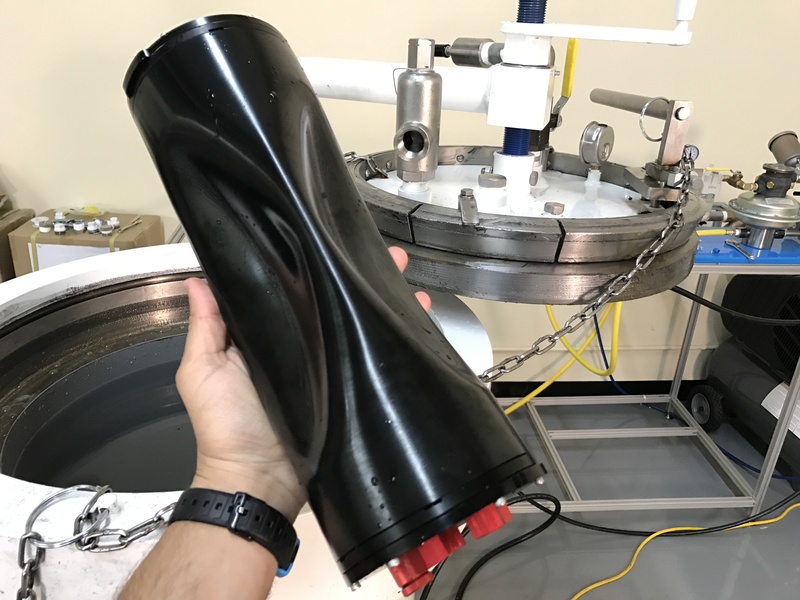 Both tubes are bored out from the inside for optimal wall thickness and to reduce the enclosure weight. The 3″ Series tube is rated for 500 meters (1640 ft) and the 4″ Series is rated for 400 meters (1312 ft). Both tubes are available now (in fairly limited quantity initially) separately and as options in the watertight enclosure configuration pages. Please note that the 3″ Series tube is 8.75″ long, just like the battery tube on the BlueROV2. Both of these tubes are drop in replacements for the enclosure tubes on the BlueROV2. We’ll get into more details on that once we’ve done more testing at depth! 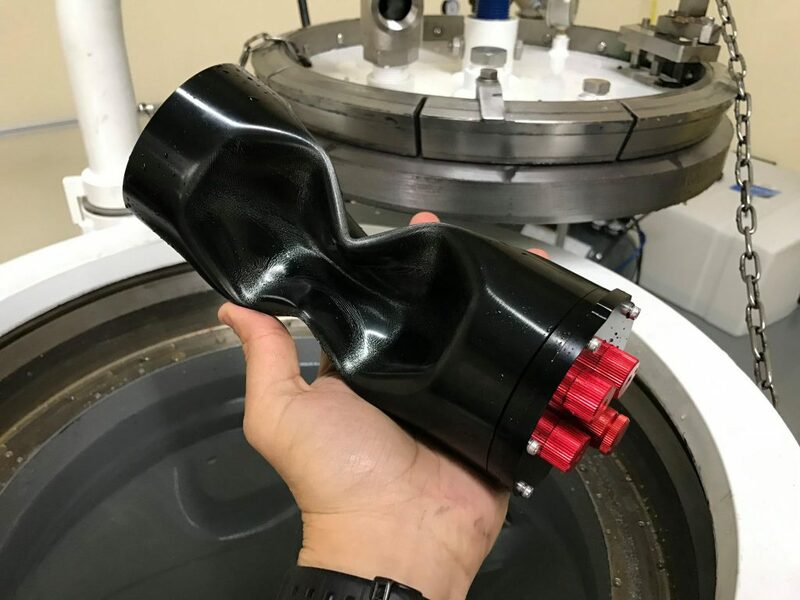 2D drawing showed the bored out inside diameter to decrease weight and optimize depth rating. As you may have seen on our social media, we have a new pressure test chamber, the #Crushinator!! 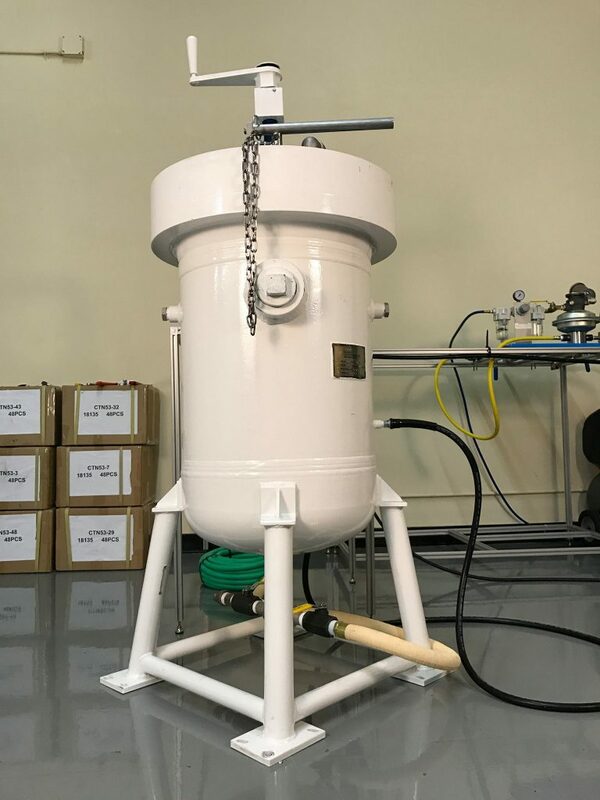 The Crushinator will be able to reach pressures equivalent to 1000 meters underwater and will take our products to a whole new level of performance, reliability, and integrity. It can fit an entire BlueROV2 inside for testing! Last week, we took a prototype aluminum 3″ Series enclosure to about 750m before imploding. That’s nearly 5 times the depth rating of the clear acrylic enclosure! Check out The Crushinator’s first victim below. RIP. Yesterday, we took a 4″ Series tube down to 610m before it imploded. Even after crushing, it remained sealed and airtight! Check it out. The enclosures are derated somewhat to allow for safety margin and variation between different tubes. These tests were all done with aluminum end-caps but we’ll be testing out the acrylic and dome end caps in the future! Onwards and downwards!